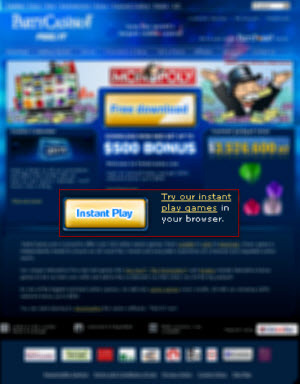 www.partycasino.com might not be what you think of when you think about the Party brand name and online gambling. Party Poker was at one time the premier name in online poker rooms, and is still one of the major players in that industry. So it’s no surprise that Party Gaming branched out with Party Casino, their in-house designed entry into the world of online casinos. Party Casino features a no-download instant play version that’s perfect for Mac roulette players, especially when you factor in the Party reputation for high quality online gaming. The instant play no download Party Casino client – known as PartyCasino Anywhere – is available for Mac users and offers access to nearly 100 different games, including over 80 slot machines. There are also several video poker machines, scratch card games, and a variety of table games – including European roulette. The Party Casino European roulette game is attractive and easy to play around with. 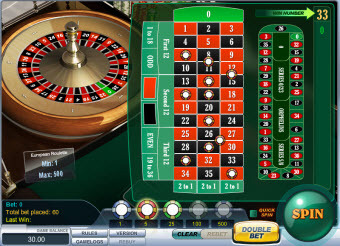 The table is designed to mirror a typical European roulette table, including the French bets section, allowing players to make the same kinds of bets they could make in Monte Carlo or any other high-end casino. The graphics are both fun and functional, with a croupier who calls out every winning number, along with the color and whether or not that number was odd or even. When you initiate a spin, the view changes to one of just the wheel, where you can watch the ball move around and around until it falls into a pocket. This effect is surprisingly engaging and often made me root hard for my number to hit! If you’re looking for the ultimate in online roulette experiences, Party Casino offers live dealers for the European roulette games, as well as several other table games. There’s nothing quite like seeing a real dealer spin the roulette wheel, and Party’s croupiers and dealers will even chat with you while you play! Party Poker was always known for their bonuses, and Party Casino carries on this tradition with a series of fine bonuses for new players. When you sign up for Party Casino, you’ll be able to earn a matching bonus of up to $200 on your first deposit. In addition, you next three deposits carry a matching bonus of up to $100, meaning that you can earn a total of $500 in bonuses on your first four deposits. Party Casino also has a great loyalty program that rewards high volume players with large bonuses and cash back. You can also use the points you earn to buy merchandise in their rewards store. One of the underrated advantages of playing at Party Casino is the level of security and comfort that comes with the Party name. Given their long track record of excellence, you can feel confident that Party Casino is trustworthy and reliable. If you do have any problems, courteous support staff are available 24 hours a day, seven days a week by telephone or email. As an added convenience, a player who already holds another Party Gaming account (such as one from Party Poker) can use the same account to play at Party Casino. Party Casino may not be the first name you think of when it comes time to play online roulette, and it’s true that Party is still better known for its poker room than its casino. However, Mac roulette players should give Party Casino a second look. From the easy to use, no download client to the live dealer games and the sense of security that comes with playing with a trusted company like Party, there’s a lot to recommend at Party Casino, and very little to complain about.